"You know, if anybody ever asks me why I do this radio show, I could just play them that - Jerry Lee Lewis singing Shakespeare. That's what this show is all about." ~ Bob Dylan on Jerry Lee Lewis' Lust of the Blood from the rock musical, Catch My Soul. IAGO: It is merely a lust of the blood and a permission of the will. Catch My Soul started out as not much more than a gleam in the eye of the aptly-named Jack Good, actor, producer, journalist, manager, and most of all, rock-'n-roll impresario. Good was the man behind Shindig!, one of the first - and one of the best - of the rock-'n-roll variety shows. Although Shindig! didn't last much past a year, ultimately brought down in a ratings war with The Beverly Hillbillies and replaced in the ABC lineup by Batman in 19 and 66, it had an influence far beyond its short life. Among many other artists, Shindig! brought Howlin' Wolf and The Chambers Brothers to television for the first time, and popularized Sonny and Cher in America, who the U.S. audience thought were a cool British duo. When Sonny and Cher first started out they had trouble getting gigs, club owners thinking they were just too weird. But Jack Good caught their act, loved them, and told Sonny and Cher "you've got to go to England." The two sold everything they owned to finance the trip, which turned out to be the right move, 'cause England swingin' like a pendulum do immediately took to Sonny and Cher, with even the older generation chasing them down for their autographs. By the time the duo got back to the States, they were a huge hit, and everyone thought the Italian-American Sonny and the Iranian-Cherokee Cher were English. Othello: Excellent wretch! Perdition catch my soul, / But I do love thee! and when I love thee not, / Chaos is come again. Jack Good had wanted to produce a rock-'n-roll version of Othello since he was an undergrad at Oxford in the Fifties. In 19 and 58, Good spotted Jerry Lee Lewis stalking angrily through a hotel lobby and knew he had found his Iago. But it would take nearly another decade before Catch My Soul would go into production. By 1965 Good was bored with Shindig! and was looking for new worlds to conquer. He recruited Ray Pohlman, Shindig's! musical director, to start writing the score for Catch My Soul. With 19 songs in the can, Good starting casting around for his acting ensemble in late `66, signing Jerry Lee Lewis for the role of Iago in August. Jerry Lee and Jack already knew each other from Jerry's Shindig! performances, and why Jerry would consider doing a rockin' version of Shakespeare isn't a mystery. 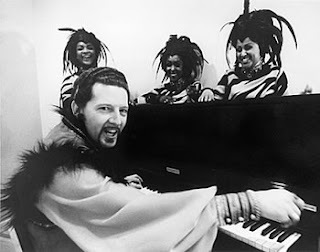 In the peaks and valleys that made up his musical career, Jerry Lee Lewis was definitely down in a valley so low during the mid-Sixties, having left the Sun label in 19 and 63, and unable to score a hit since that time with his new label, Mercury. Indeed Mercury had notified Jerry Lee in `68 that his contract wasn't going to be renewed, and The Killer was in trouble. But Catch My Soul turned out to more than just a paying gig that turned up at the right time. In Shakespeare's Iago Jerry Lee found a kindred spirit, someone with as just as much blood in his eye and hellfire in his soul as Jerry Lee Lewis himself. It would take two years and a slew of cast and theater changes before Catch My Soul would be performed before an audience. During the interim the venue changed from Broadway to L.A. and the role of Othello changed hands from ex-linebacker Rosey Grier to the more experienced actor, Peter Brock. 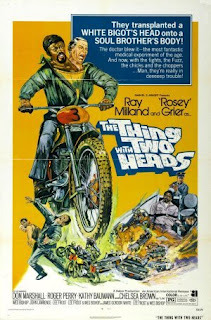 Incidentally, the mind boggles at the idea of Rosey, whose acting career highlight would be to co-star in The Thing With Two Heads - as Othello. 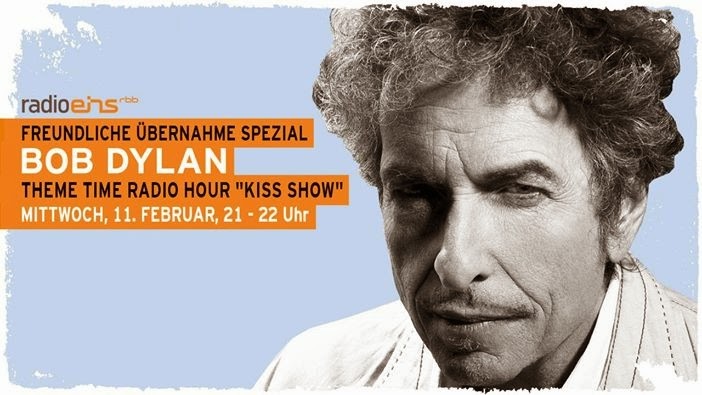 Rehearsals for Catch My Soul finally began on January 22nd 19 and 68, and both the cuts Mr. D. played on Theme Time Radio Hour, Lust of the Blood during the Blood show and Let a Soldier Drink in the War episode, are from those rehearsal sessions. At the first rehearsal, Jerry Lee surprised the rest of the cast as the only one there who already had all his lines memorized. "This Shakespeare is really somethin'," he'd later tell a reporter, wondering aloud what Willy the Shake might have thought of The Killer's music. If the critics' response to Lewis' performance was any indication, the Bard of Avalon would probably have righteously dug the Man from Memphis. 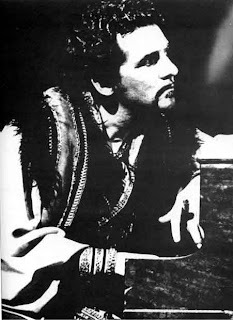 According to Nick Tosches book Hellfire, Jerry Lee stole the show on opening night and every night thereafter, wowing reviewers ranging from The Christian Science Monitor ("a Lousiana-born genius") to The Toronto Daily Star ("genuinely diabolical as Iago"). After the first show, sixties luminaries including Burt Bacharach, Andy Williams, Zsa Zsa Gabor, and Tom Jones all lined up in front of Jerry Lee's dressing room, trying to get inside to congratulate The Killer. Catch My Soul the play had a short but successful three-month run, closing on April 13th 19 and 68, and reportedly pulling in more than a half-million dollars. Jerry Lee would head back down to Memphis and record What Made Milwaukee Famous (Has Made a Loser Out of Me), a single that would singlehandedly revitalize Lewis' career. What Made Milwaukee Famous broke into the Country charts in June and eventually hit the #2 slot, selling more than 170,000 copies by the end of the summer of `68. And the rest, of course, is history. Catch My Soul had less of a successful future, albeit nearly one as strange as Jerry Lee's. The play was eventually adapted to film and directed by Patrick McGoohan, he of Secret Agent Man and The Prisoner fame. As a piece of trivia, this would be McGoohan's second involvement with a musical adaptation of Othello. Back in 1961, McGoohan performed in the film All Night Long, a jazz version of the play that included appearances by Dave Brubeck and Charlie Mingus. Released in 19 and 74, Catch My Soul the movie starred Richie Havens as Othello, Season Hubley as Desdemona, and journeyman actor Lance LeGault taking over the role of Iago. Except for being produced by Jack Good and retaining a bit of Shakespeare's original language, the movie had little resemblance to the play, or even to reality. Influenced heavily by the hit rock operas Jesus Christ Superstar and Godspell!, Catch My Soul the movie was set in the American Southwest. Othello became a itinerant evangelist who wandered into Iago's remote commune. Othello falls in love with beautiful Desdemona, infuriating Iago, who also loves her. Iago plots his revenge and murder and tragedy predictably ensue. In between the bouts of murder, madness and blood there are songs, some performed by Richie Havens, some by Tony Joe White, others by Delaney and Bonnie Bramlett, two singers who had something of side-career with showing up in weird movies of the `60s and `70s. None of the music from Catch My Soul the play made the transition to the movie, which was described by one reviewer as a "train wreck." Dreamtime received over a half-dozen emails asking about Catch My Soul, some from TTRH fans wanting to know why Jerry Lee Lewis was singing Shakespeare - which I hoped I've answered - and several from fans who already knew the story of Catch My Soul, but were interested in where Mr. D. had found the songs. Both cuts are from The Killer's Private Stash, a semi-bootleg out of Holland that also includes Lewis' first known recording and an X-rated version of Whole Lotta Shakin' Goin' On. As far as I can determine, those two songs from the Catch My Soul rehearsal sessions are the only known circulating tracks in existence. 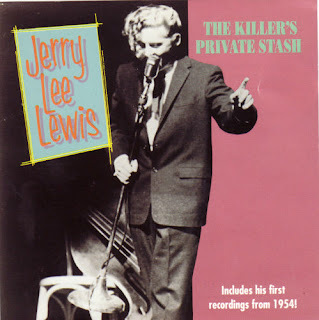 But given their quality, maybe somewhere, maybe hidden away in some box or basement shelf, there's more in the Killer's Private Stash, maybe there's a complete recording of Jerry Lee Lewis as Iago in Catch My Soul... and maybe someday we'll get to hear it. The primary source for this article was Nick Tosches' Hellfire: The Jerry Lee Lewis Story. But as is usual with anything Tosches' has written, anything he claims are specific names, dates, or places should probably be taken with a grain of salt. Tosches is a great writer but sloppy researcher. It's Rosey, Nick, not "Rosie." THE JERRY LEE LEWIS I'VE KNOWN FOR 46 YEARS by Graham Knight also had some useful information. Most of the background information on Jack Good came from Steve Walker's article. As always, very well done Fred! so delighted you did a podcast on this topic Fred. It's been a hot topic in our home lately. such a fine combination of interests: Willie the shake, Jerry Lee, and ttrh. Well done. Thanks, you answered some questions I had about Jerry Lee in Catch My Soul. I sure wish I had seen it! New TTRH Episode Coming Jan 7 2009 - "Work"
A Bit More On "Catch My Soul"